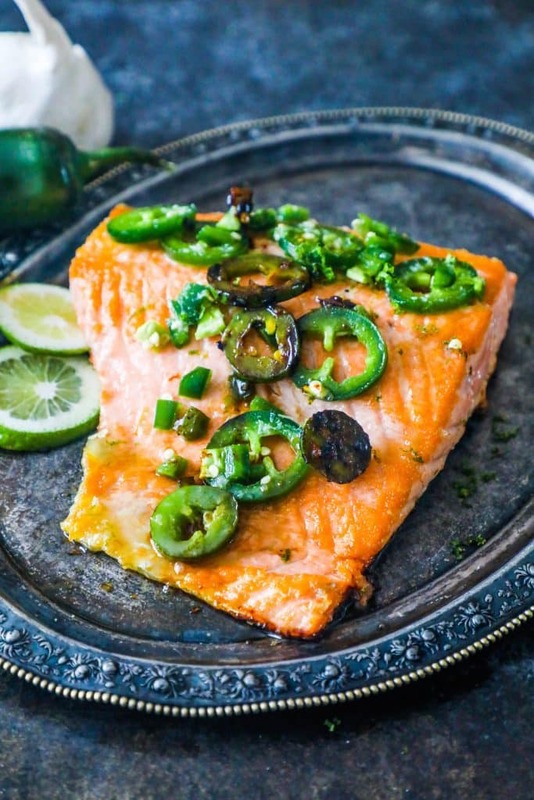 Honey Lime Jalapeno Salmon is bursting with sweet and spicy salmon flavor – in just one pan for a delicious, quick healthy dinner! 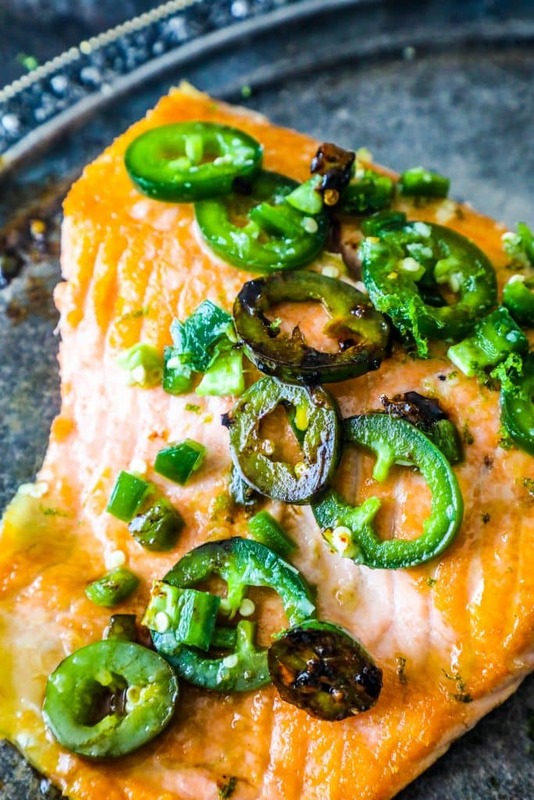 Salmon is one of my absolute favorite things to make for dinner. 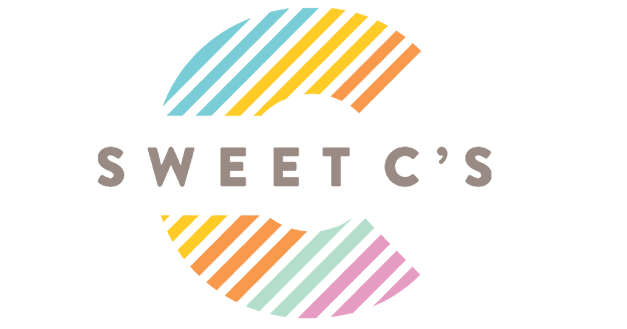 It’s easy, delicious, full of color and flavor – and it consistently comes out fabulously, even when I’m running short on time. 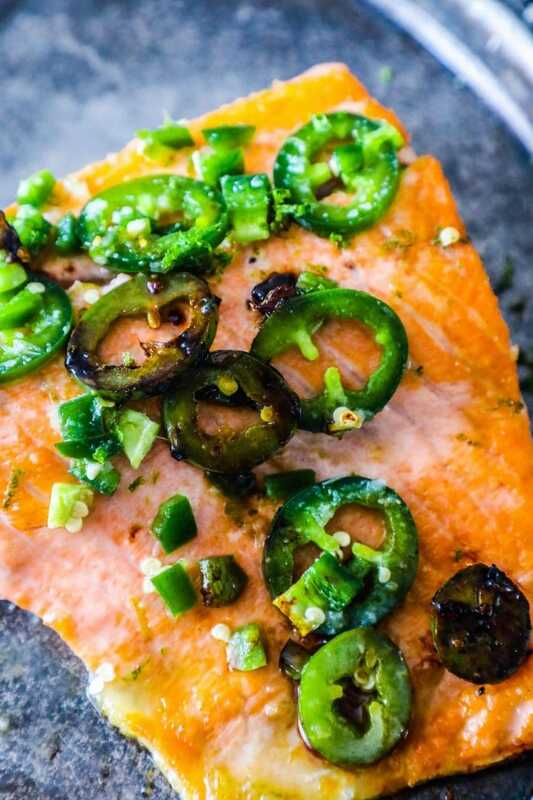 Salmon is also a great staple for Lent for us – especially because it is so quick and simple, and pairs with so many delicious meals! 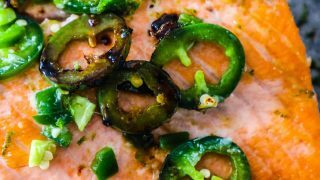 This salmon is so deliciously easy – it can be done in under 20 minutes, and doesn’t give off any fishy smell whatsoever. I didn’t really get to eat a lot of fish growing up because my dad is a little skittish about the smell of fish – so we didn’t really have a ton of it at home – which is a shame, because I really really love Salmon. This recipe pairs perfectly over a salad, in tacos, or served up with rice or vegetables. It’s simple and so easy – it will become one of your favorite dinners in no time! Add lime juice, honey, garlic, and jalapeno into bowl and mix well. In a large nonstick skillet, heat oil on medium high until shimmery. Add salmon, skin side up, and cook until crisp and browned on one side - about 7 minutes. Flip salmon onto skin, and cook five minutes. 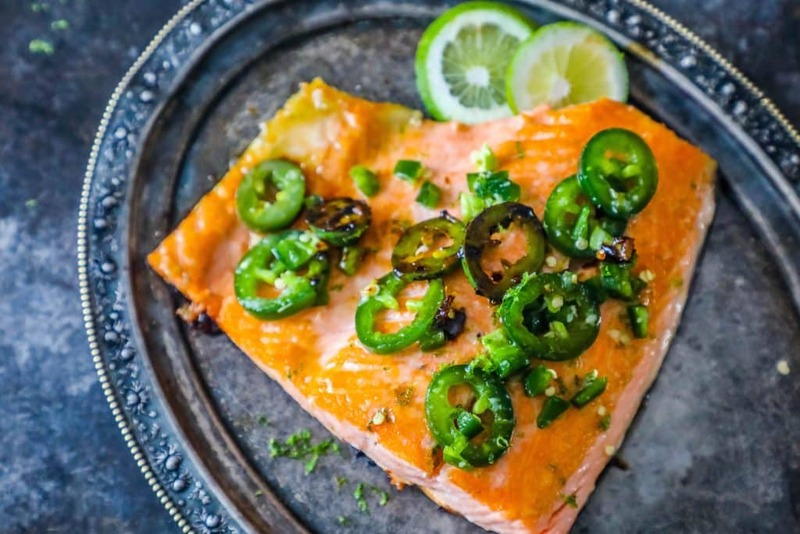 Drizzle honey jalapeno lime mixture over salmon as it cooks another 5-10 minutes, until salmon is firm and turns light pink. Spoon honey lime mixture that has dribbled off salmon back onto the top as needed.